If you're lamenting the loss of London's ghost train, then we've got spec-track-ular news for you — a new one is now operating in the capital. The previous ghost train — which we labelled as 'London's loneliest train' — ceased service on Friday 7 December 2018, because the track on which it runs is being demolished to make way for HS2. This new service is related to that old one, departing from South Ruislip as its predecessor did, but as it can no longer access Paddington it takes a different route. What is a parliamentary train, or ghost train? A ghost train, officially known as a 'parliamentary train', is a service that runs very occasionally in order to keep a disused stretch of track open. Without the 'ghost train', the train operating company would be forced to close the track, which is a costly and drawn out parliamentary process. But by running a once-a-day train, the track is technically still in use, avoiding the need to shut the line. Our resident train expert Geoff Marshall brought this new ghost train to our attention (and was out riding it on the very first day, no doubt in a bid to fill the Crossrail-shaped hole in his life). 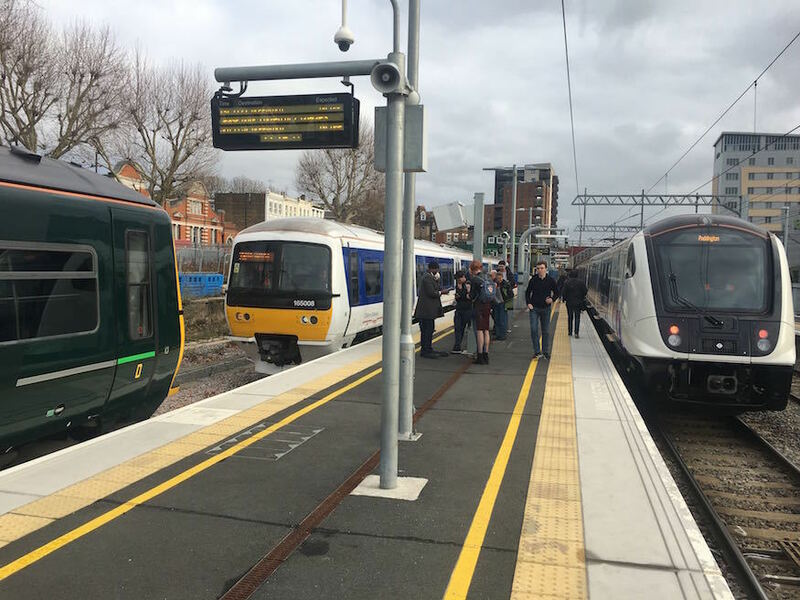 It launched on Monday (10 December 2018) and runs from South Ruislip to West Ealing, then West Ealing to High Wycombe just once a day (Monday-Friday). It leaves South Ruislip at 11.02, and travels via the Greenford branch (which won't mean much to most people, but which Geoff's train-centric mind describes as "most unusual"), arriving at West Ealing at 11.20. It then sits at West Ealing for a while, before departing for High Wycombe at 11.47, and it'll run at least for the foreseeable future. At time of writing, the South Ruislip-West Ealing stretch of the journey appears on National Rail's journey planner, but West Ealing-High Wycombe does not — a lengthy route via Paddington and Marylebone is suggested instead. Why the changes to London's ghost trains? As we said, ghost trains only exist to keep a disused bit of track open, and to save the train companies a lot of bureaucratic hassle. In this case, that hassle comes in the form of a curve of track at Old Oak Common can no longer be used due to HS2 works, so this train, which used to go to Paddington, is rerouted to West Ealing instead. Follow Geoff on Twitter @geofftech for up to date train and tube news and trivia. He's also written some excellent books about the tube and about Britain's railways.